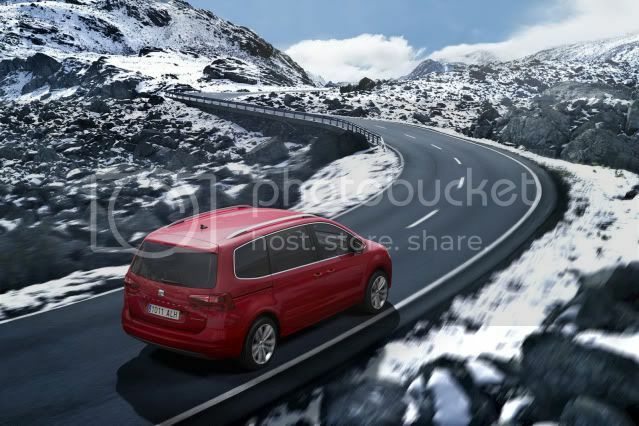 Seat will present a permanent four-wheel-drive Alhambra large MPV at next week's Geneva motor show. The new model benefits from the latest-generation of VAG's 4x4 system, electronically controlled and set up for improved driving dynamics and stability in poor weather conditions. Running in an oil bath inside the central clutch is a disc set that can be pressed together in a continuously variable fashion using regulated hydraulic pressure. A control unit constantly analyses the driving conditions and, in the event that the front wheels slip, an electrically driven annular piston pump immediately builds up the oil pressure necessary for the clutch to divert a proportion of the driving force to the rear wheels. Thanks to a high-performance pressure accumulator, this process takes just a matter of milliseconds. The permanent 4WD is mated to a 2.0 litre 140bhp (141PS/104kW) diesel engine, that's linked to a slick 6 speed manual transmission. There's a top speed of 119mph (191km/h) with the 0 – 62mph (100km/h) taking 11.4 seconds. Combined fuel economy stands at 47.1mpg (6.0l/100km) with CO2 emissions of 158g/km. The standard Ecomotive package, which includes a brake energy regeneration and a start/stop system contribute to the great economy. The 4WD Alhambra will arrive in Reference and Style guises with interiors configured with 5 seats. 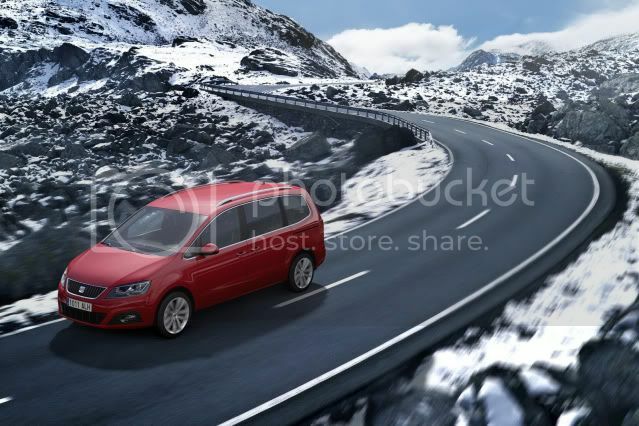 Towards the end of the year, the all-wheel drive MPV will also have a 2+2+2 seating arrangement. Sales start in Summer, although, UK sales are very unlikely.